As promised, 4 new screenshots! These screenshots show our latest graphical enhancement which give the game a boost in visual quality. 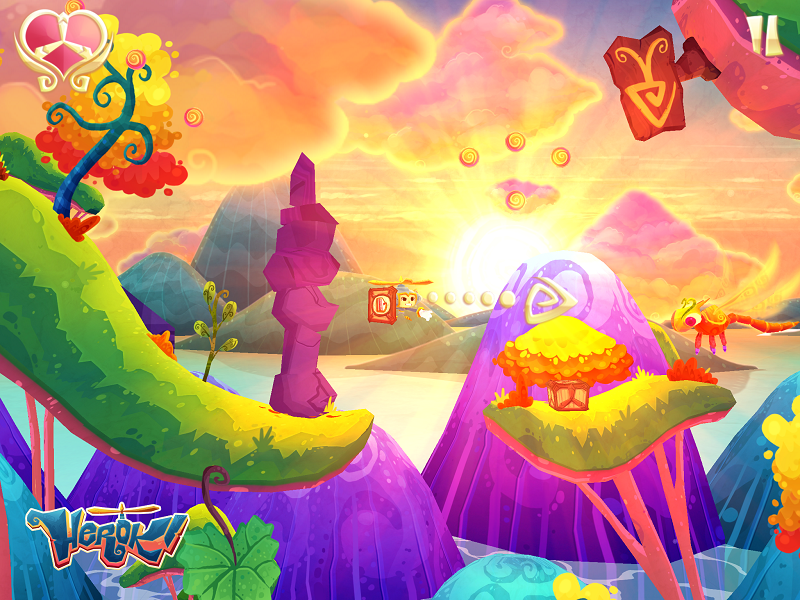 It's a new layer of detail and polish that makes the game feel so much more vibrant. 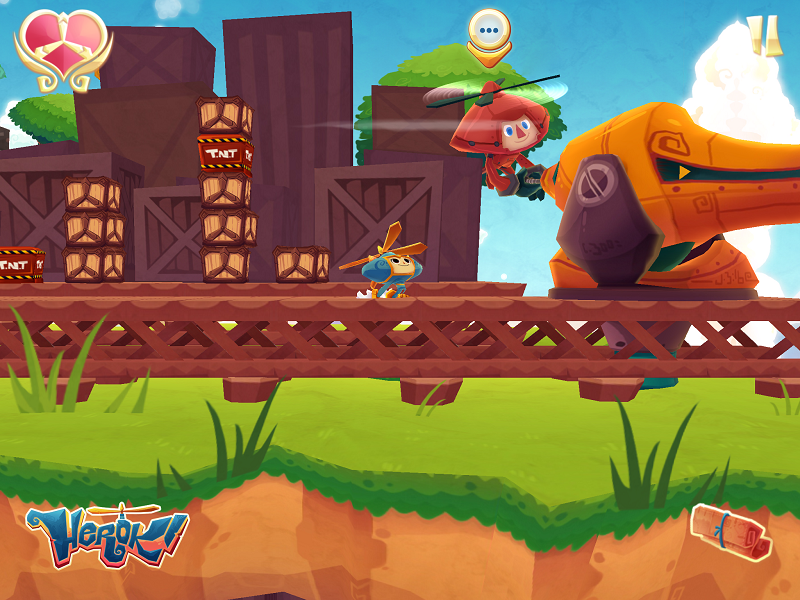 This is the latest version of Heroki's Hometown with all new detail and effects. 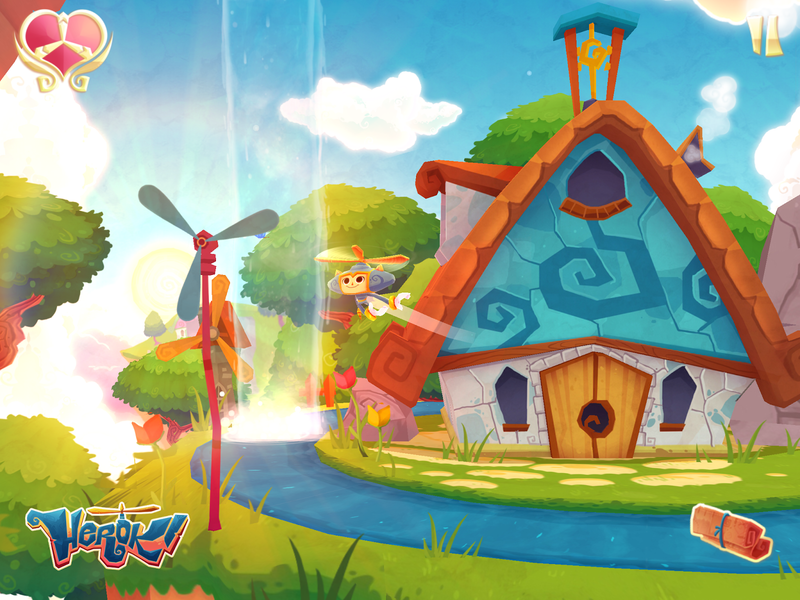 In the Hometown you can talk to other villagers, do mini-quests, play mini-games and lots more! Special item crates can be found during your adventure. I think Heroki likes pie! A bright and beautiful looking sunset! 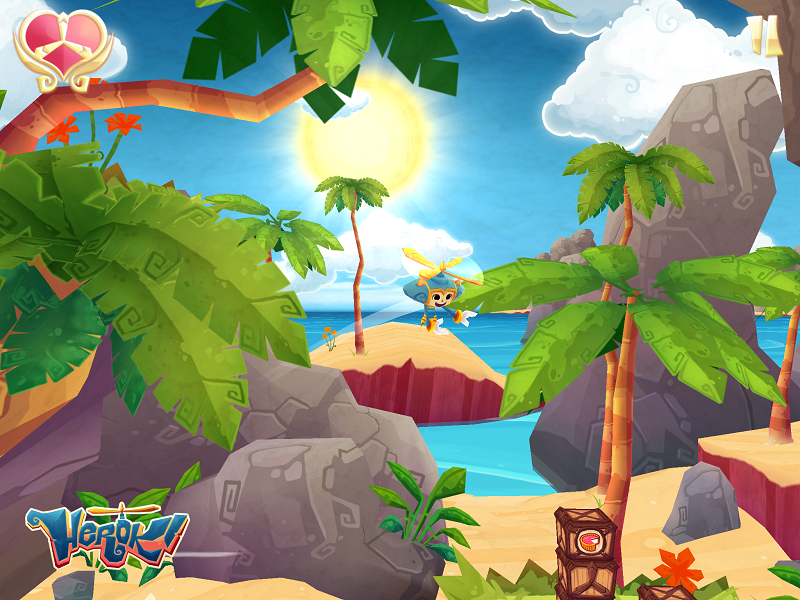 Discover all new gameplay in this colorful new world and find out what other things Heroki can do! Great Game. I like this kind of Site. All Game is good. If you like this kind of another site. you can visit this site. Thanks for admin who create this blog. I think it is great and informatics.